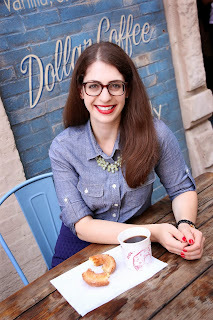 This past weekend I joined other members of Chicago Food Bloggers for a brunch at Public House. While I've been to Public House many times for dinner and/or drinks, this was the first time I'd attended for brunch. 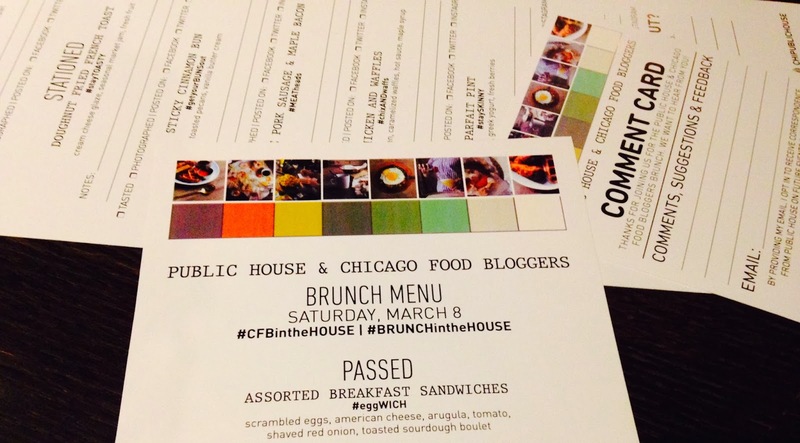 Honestly, I had no idea Public House even served brunch, but now that a bunch of Chicago bloggers know, we were happy to get the word out! Chef Jeremy Tannehill was on hand to explain each of the dishes we would be sampling. The staff did a wonderful job setting up a buffet of miniature-sizes of each entree so we could try each without feeling like we would never eat again. If only every restaurant offered mini versions of its menu items (I think you can understand how hard it is to just have one bite when reviewing a restaurant!). The photos below are of the regular portions so you can get a feel for what to expect. 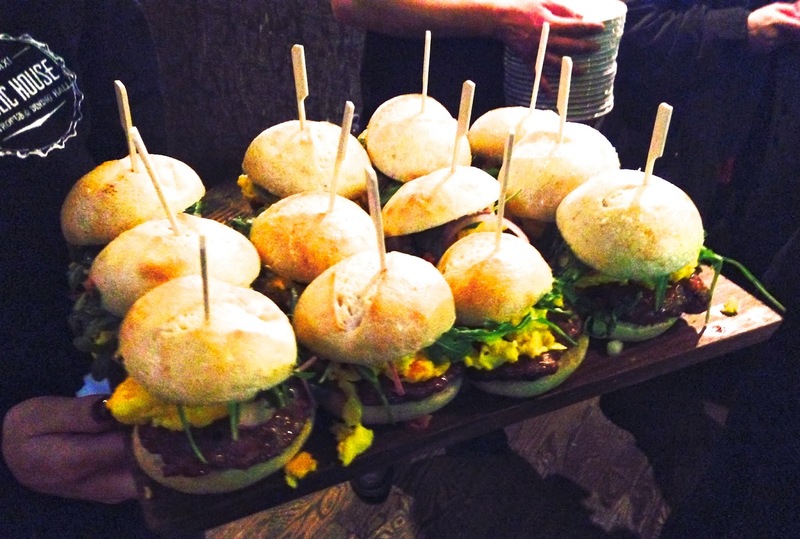 The staff passed around mini egg sandwiches with scrambled eggs, American cheese, arugula, tomato, and red onion, on a sourdough bun. The sandwich also had homemade turkey sausage which tasted like the real deal. I loved the crusty texture of the bun, but it was a tad on the greasy side (perfect for your post-St. Patty's Day hangover breakfast). The chicken and waffles came with some great friends on the side, hot sauce, and maple syrup. I wasn't crazy about the chicken (would prefer boneless) but the caramelized waffle was one of the best things I tried. It was soft and airy, and not greasy, which was great for soaking up the chicken grease and toppings. I'm not usually a fan of eggs benedict but I tried the crab cake benedict because it had, well, crab! The crab cake was fresh but had a lot filler (eg bread crumbs). For the mini version, I'm wondering how they made the poached eggs so small?! Next up was my favorite dish of the morning, unsurprisingly. 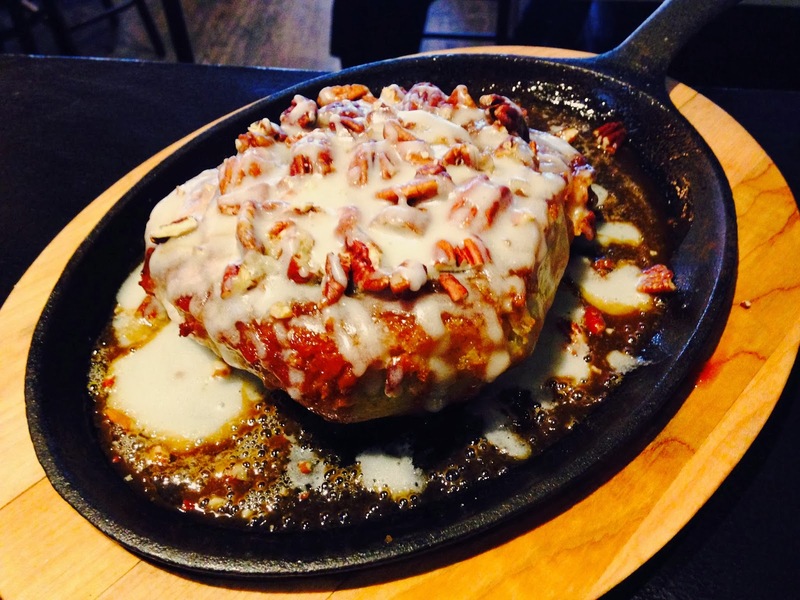 The sticky cinnamon bun was ultra sweet, flaky, and moist and doused in gooey sweetness. This is definitely not for those without a sweet tooth, but, if you're a baked good connoisseur like me, you will float into cinna-bun nirvana. The bun is topped with toasted pecans and vanilla buttercream. The most ridiculously-sounding dish award had to go to the doughnut fried French toast. I'm glad I only had a sample of this, because I'm sure my arteries couldn't take the full size. 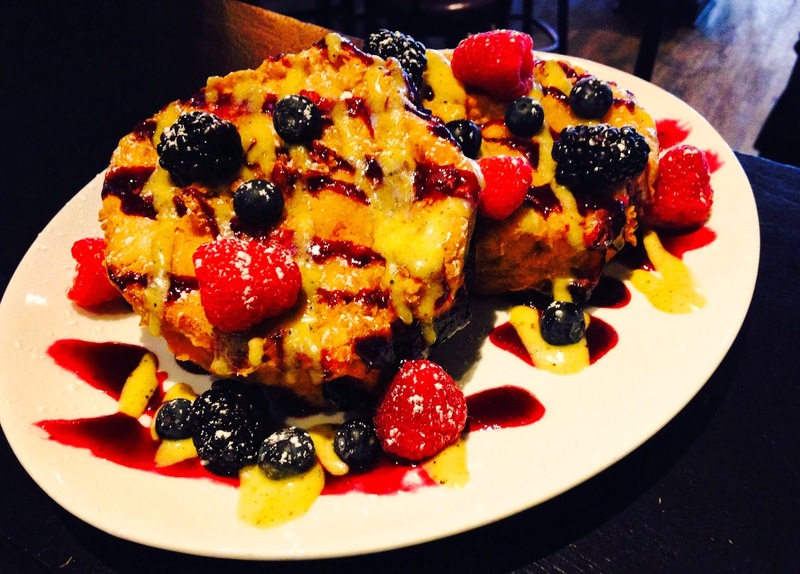 Each slice of bread was coated in a batter and topped with cream cheese glaze, seasonal jam, and fresh berries. I enjoyed the cream cheese glaze but my fave sweet dish was still the sticky cinnamon bun. Last was the parfait pint, because hey, there should be at least one semi-healthy entree right? Well, I didn't try it. HA. 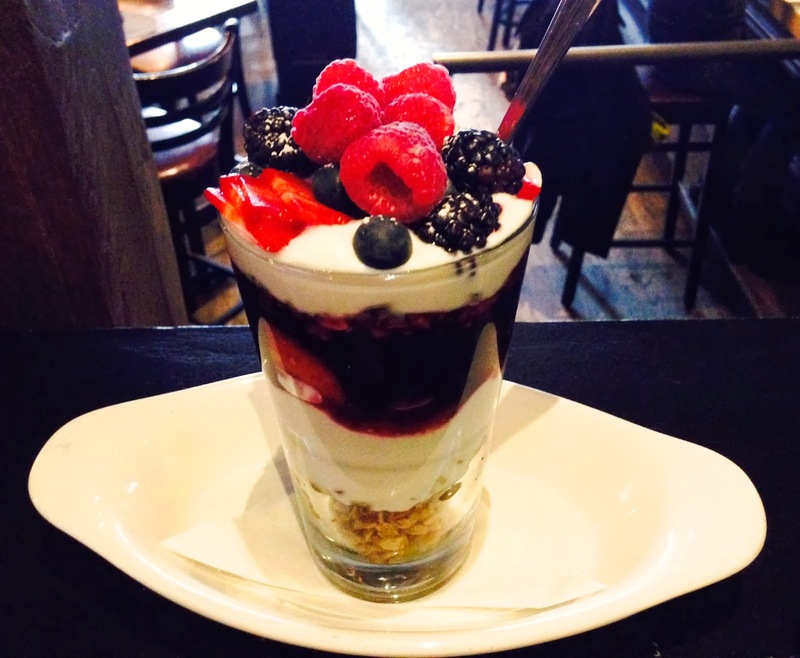 Why waste precious belly room on fruit, granola, and Greek yogurt? I think I got enough protein from the homemade turkey sausage anyway. The layered glass was pretty though! Not only was it fun sampling a bunch of items from Public House's brunch menu, I enjoyed meeting other local food bloggers! It's always nice to be surrounded by others who are also taking photos of their food :) No judgment! Thanks again to Public House for hosting us and to Mike of Chicago Food Bloggers for organizing the event! 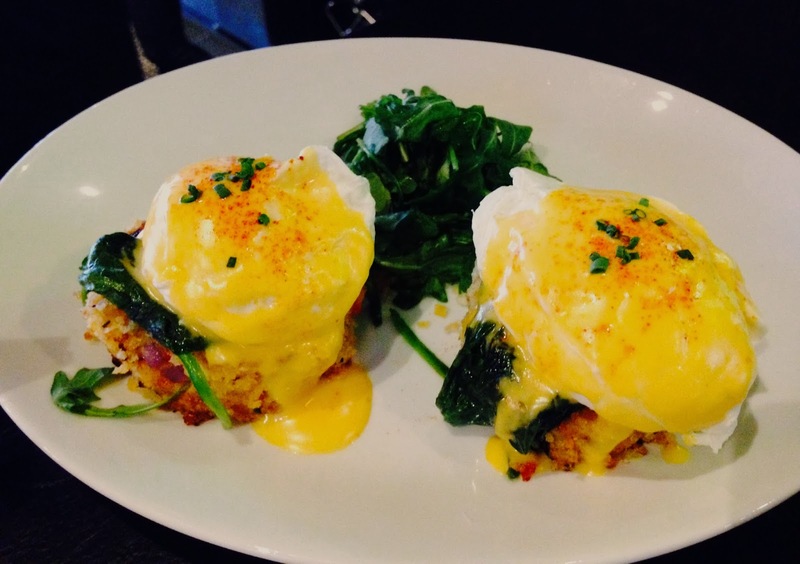 Have you ever been to Public House for brunch? 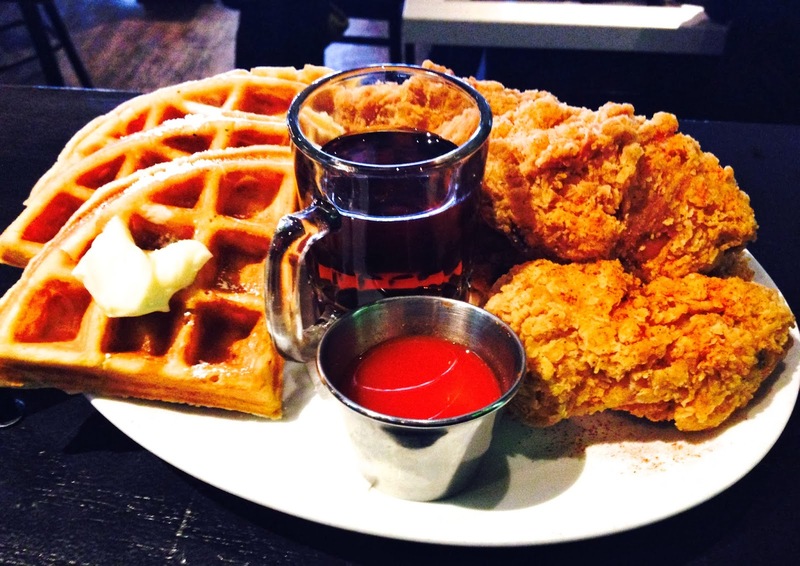 Where are your favorite spots in Chicago to grab weekend brunch? Let me know in the comments! Note: The Chicago Food Bloggers brunch at Public House was complimentary, however, opinions expressed herein are my own. Thanks so much for the kind words! Tweet is great--can't hate on a place that gives you free cake!